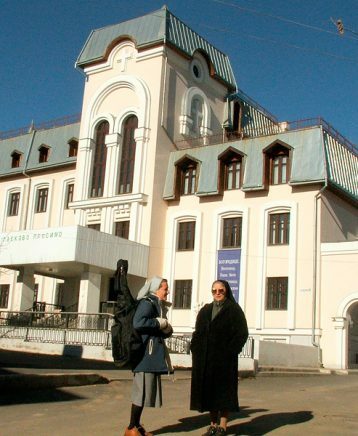 Canossian Sisters in Ukraine The first very clear call to found the canossian community in Ukraine, had heard sr Elizabeth. It was in 1993 when she, together with sr Monica went for the pilgrim to one of the sanctuary of this country. Thanks to lots of contacts with the peolpe of the local Church, our Congregation had understood that the ucrainian people need so much the wittness of the faith, capable to dedicate the time, the energies, the attitudes and even the whole live to make know Jesus Christ. The first community started to live in the city Vinnytsia, in 1995. The mission in the Parish of Friars Minor Capuchin needed help. The sisters answered for this need and especially for the question of the protection of human live after conception. The house on the photo in a clinic under the name of saint Joanna Beretta Molla. Lots of young peolpe who frequented sister's convent, told them that if they would have known before about the value and santity of human live, they would not accepted abortion. today lot of them collaborate with a great heart with sisters in aid of protection of human live. 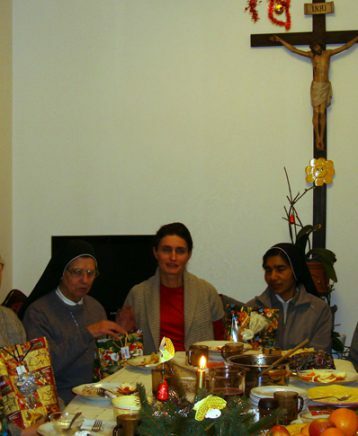 Canossian Sisters in Poland The first community started in Poland 17 of September 1992. For some months sisters lived in block of flats, in the condominium in Cracow. 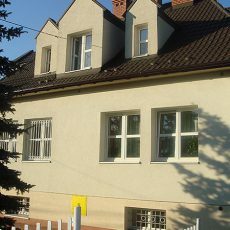 Next they removed to the listed building in the village Grodkowice, nearby to Kłaj. In the meantime started the construction of the retreat house in the village Gosławice that belong to the commune Wierzchosławice, about seven kilometers from Tarnów. The celebration of the consecration of this house is 12 of Novembre 1995. The house is open to everybody who desire to intensify the faith and meet the Lord in the silence of his own heart. Every year the house is ospitated by different groups of prayers, teenager's moovemenst, small parrocchial communities etc. Also the local Church avail oneself for different meetings of prayers and formation of the priests of the Diocese of Tarnów. After 12 years from coming the first canossians sisters to Poland, realized the desire to found the second community in this country. 15 of October 2004 we celebrated the dedication of the second house: in Cracow. The localization of this house is for us a sign of the Providence of God: the distans from the Sanctuary of Divine Mercy is so small that you can walk only 15 minutes to reach this place where Jesus had appeared to saint Faustyna Kowalska. 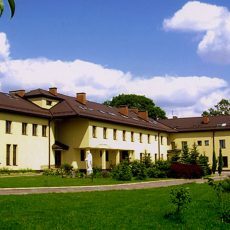 Our convent in Cracow has some rooms for the girls students. We catechize in the nursery scholl and in the primary school. We visit lonesome people and the sick in their appartments or in the residential care. The first purpose of the apostolate is "formation of heart" of young people. It effectuate during retreats, formative meetings for lay people and for lay canossians. Both of the communities are international. This is a clear sign for the others that despite of lots of differents among everybody it is really possibile to live together in peacefulness and realize the precious purpose. For us this purpose in the burning desire of our Foundress TO MAKE JESUS KNOW. Staying nearby God everything become possibly and the live can be beautiful, because God is the Source of every goodness and happiness.